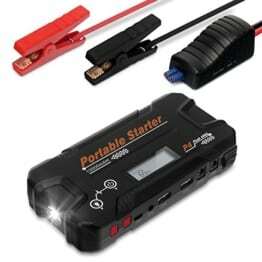 Motorcord Top Quality Super Power Jump Starter & Full Power Bank Will Be The Only Power Source You Will Ever Need! Amazing 18000amh Combined With Up To 600 Peak Amps, Gives This Massive Starting Capabilities. 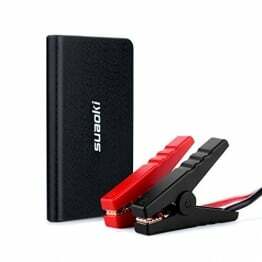 Latest And Most Powerful Exclusive Jump Starter And Personal Power Supply On The Market, & Yet & Still Small Enough To Fit In Your Pocket. If That Isn’t Enough, It Is So Powerful It Can Start Gasoline & Diesel Vehicles While Handling Your Personal Electronic Devices, & Yes Even Your Laptop! Nothing On The Market Compares. This Compact Well Engineered Device Will Start Not Only Your Car, But Also Your Boat, Truck, Motorcycle, & Other Power-Sports Vehicle. Amazingly It Also Powers USB Powered Devices Like Cell Phones, Tablets, Cameras & More!